Here are some common questions associated with the costs and fees of real estate transactions in the Bahamas. What is the Bahamas Stamp Tax? What are the commissions on different Bahamas real estate transactions? What are the real estate legal fees in the Bahamas? What is the real property tax in the Bahamas? What is the real property tax on owner-occupied rental homes in the Bahamas? What is the real property tax for non-Bahamians in the Bahamas? What are the real property tax exemptions? The buyer and seller normally split the Government Stamp Tax. Business: 10 % of the sales price. Seller is normally responsible for real estate commissions. Legal fees can vary, but average around 2.5% of the selling price of the property. There is also a small recording fee when the title deeds are recorded at the Public Registry. Buyer and Seller are normally responsible for their own attorney fees. Owner Occupied Property means property occupied by a person who being the owner in fee simple or a mortgagor in possession occupies and resides in such property exclusively as a dwelling house on a permanent or seasonal basis. 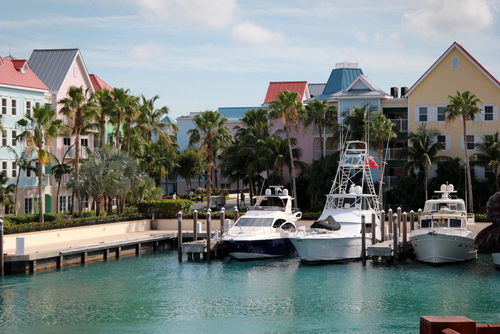 What is the real property tax for owner-occupied rental homes in the Bahamas? Owners wishing to benefit must apply for a Licence to operate their premises by completing an Application for a Licence to Operate under the provisions of the Hotels Act. All licensed operators/owners of owner-occupied rental homes shall collect a hotel guest tax of 10% of the total room rate for the period during which each guest is provided with sleeping accommodation at such owner-occupied home of one or more bedrooms. The beneficial owner of such company shall submit to the Chief Valuation Officer a declaration in the prescribed form stating that such property is occupied by the beneficial owner exclusively as a dwelling house on a permanent or seasonal basis. Public places used exclusively for religious purposes. School buildings including their gardens, playing fields etc. Property owned by foreign governments for use exclusively as consular offices or as residence for its employees. Property belonging to a Commonwealth country which in the opinion of the Minister of Finance is being for carrying out functions analogous to consular functions. Owner occupied property in respect of the first $250,000. Unimproved property owned by Bahamians. Property owned by Bahamians situate on the Family Islands. Property used for commercial farming. Property used exclusively for the purposes of charitable or public service for which no profit is derived. Improved historic property in a national register for a period of twenty years from the date of improvement. Improved historic property. Exemption for 20 years from the date of improvement only. First time home buyers or mortgagors of a dwelling house valued in excess of $250,000 but no more than $500,000 who occupy the same exclusively as a dwelling house. Exemption for a period of 5 years only from the date shown on the occupancy certificate or on the conveyance in respect of the purchase of a completed dwelling house. Where land is held for development purposes as defined by the International Persons Landholding Act and the Planning and Subdivision Act or the Private Roads and Subdivisions (Out Islands) Act applies, or would do so but for the Hawksbill Creek, Grand Bahama (Deep Water Harbour and Industrial Area) Act, an application for exemption may be made for any property remaining unsold and unimproved. Questions about fees? Please contact ERA Dupuch Real Estate online or call (242) 393 1811.